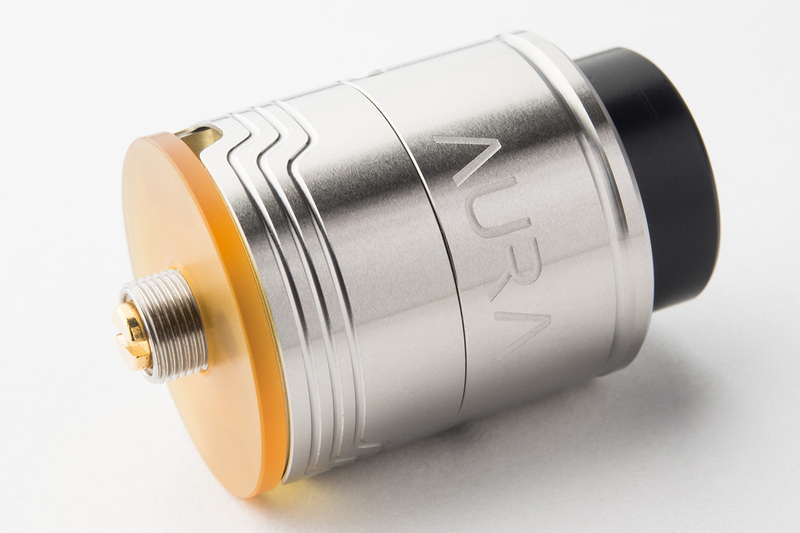 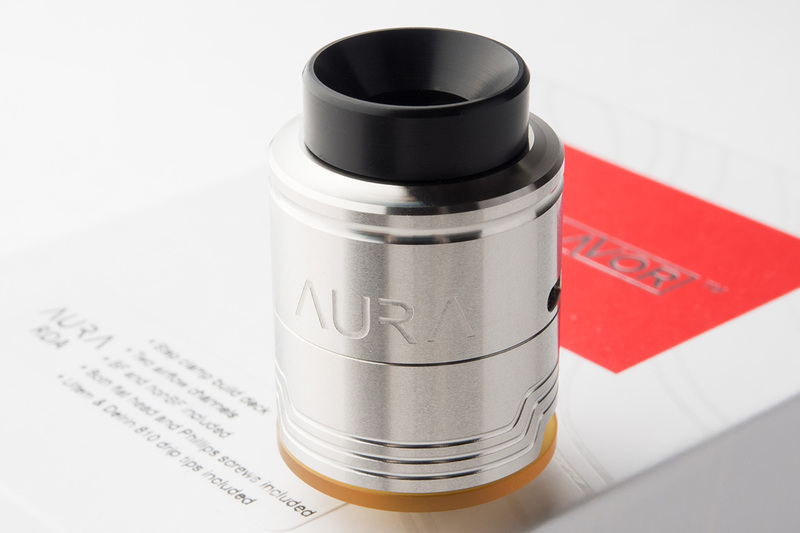 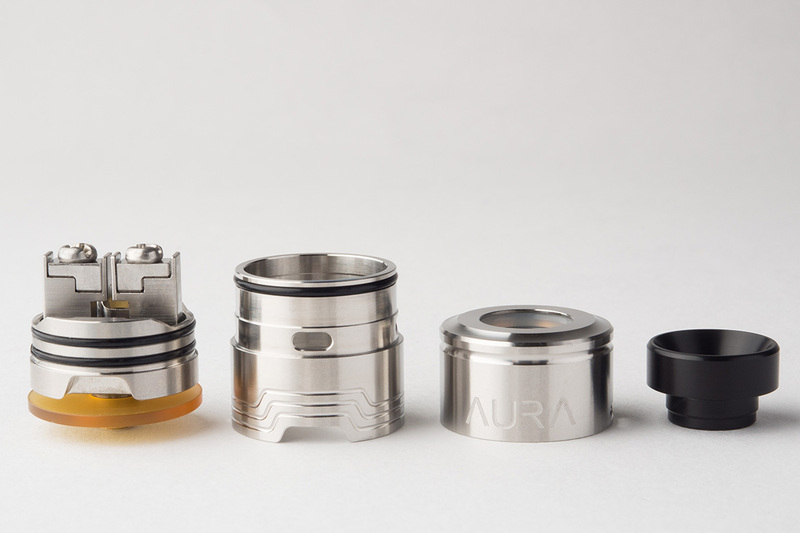 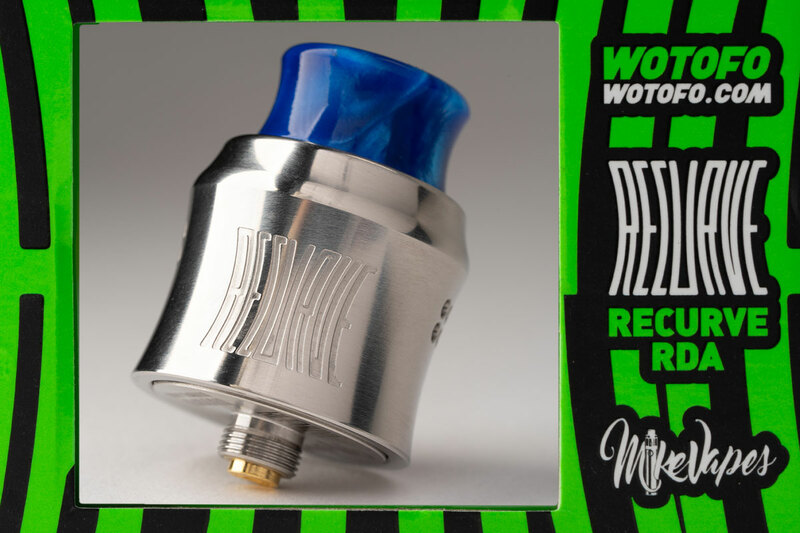 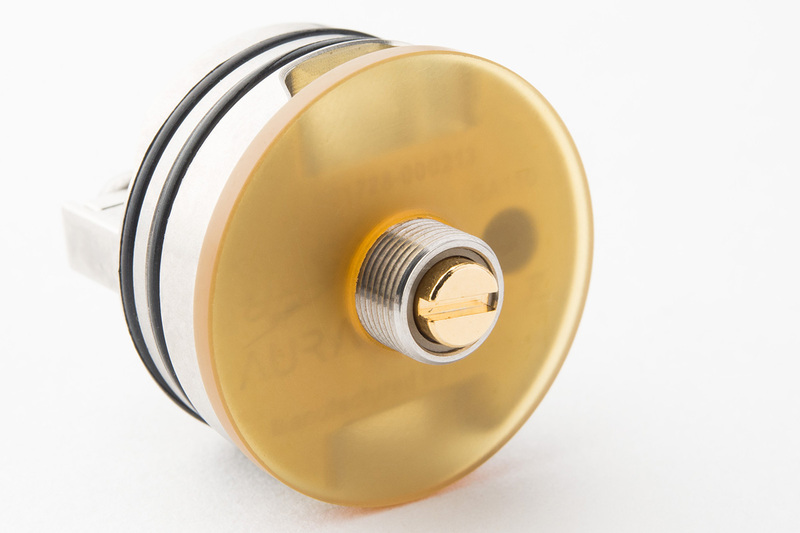 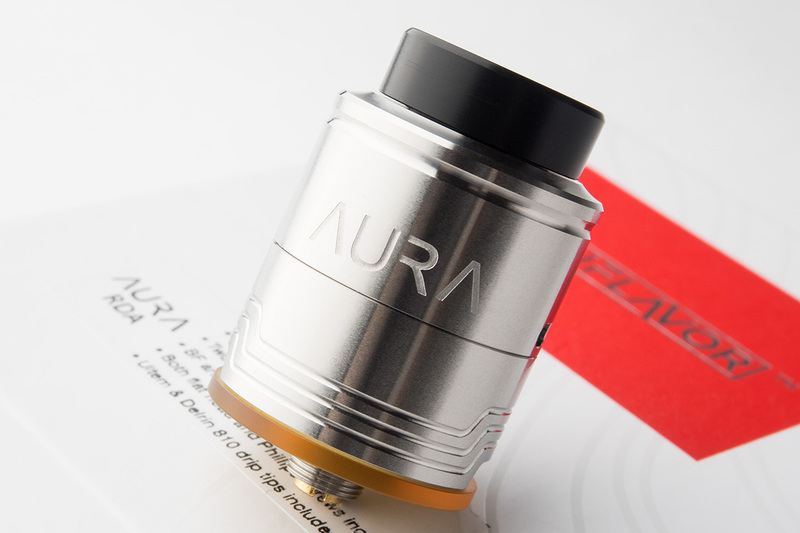 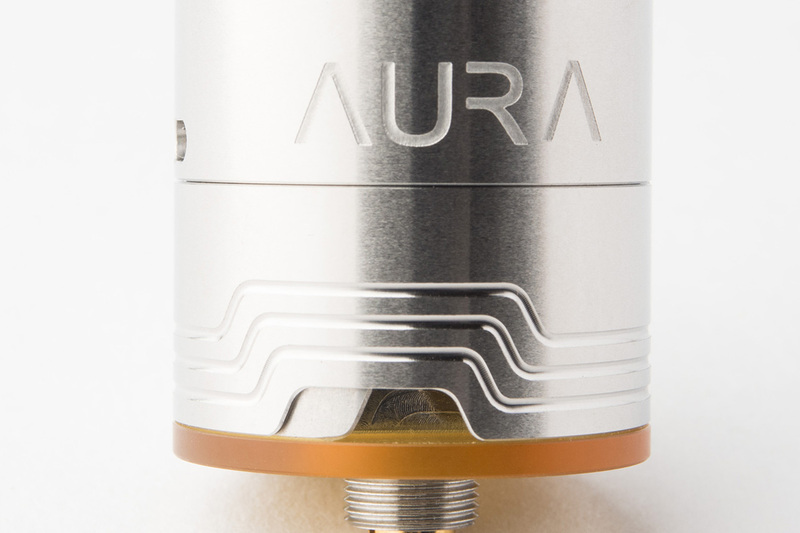 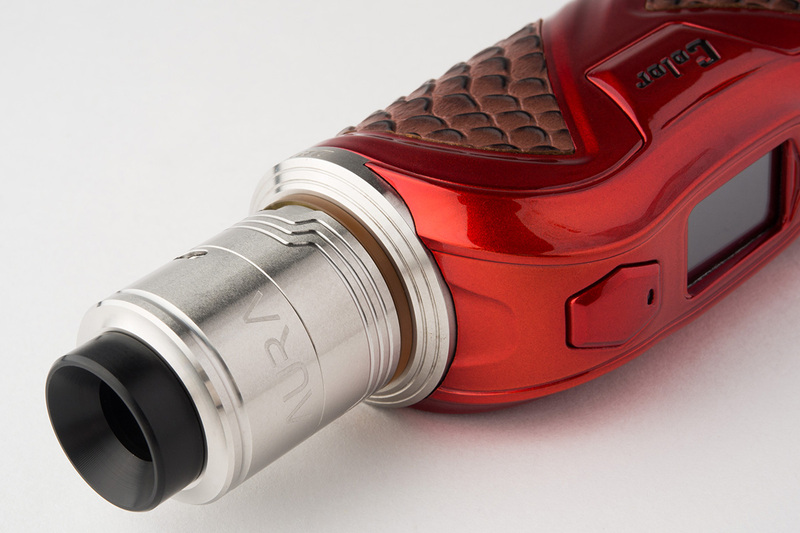 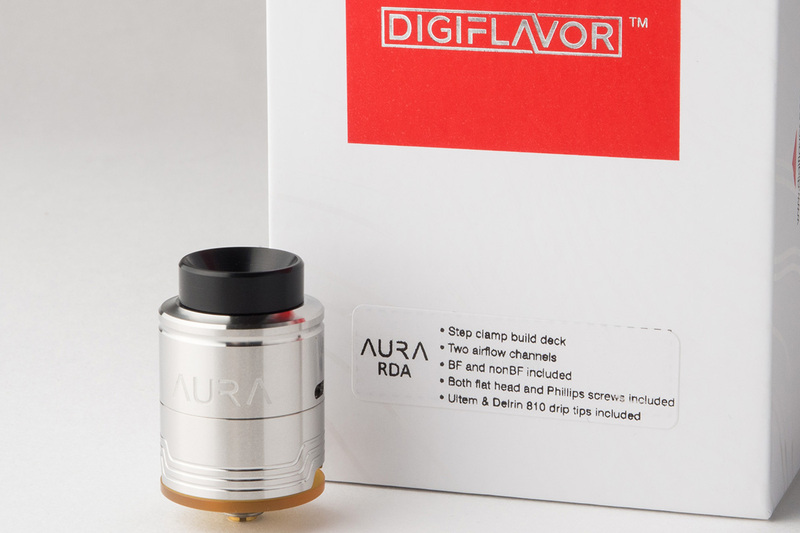 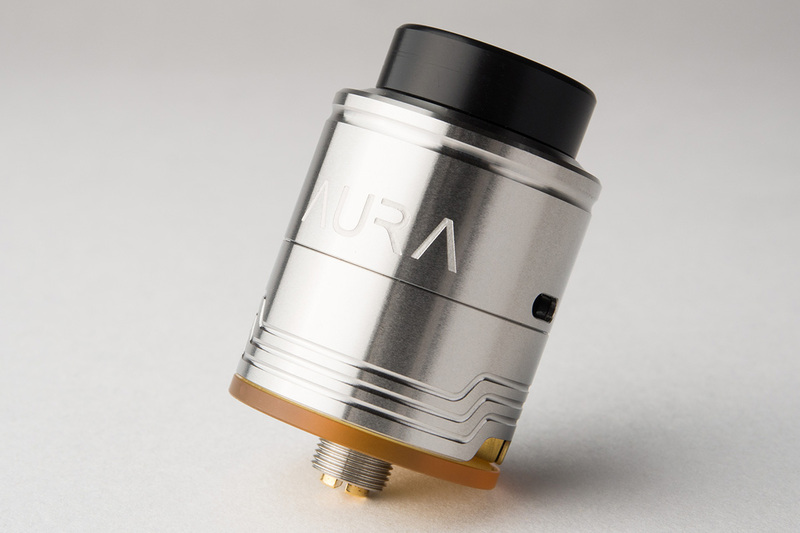 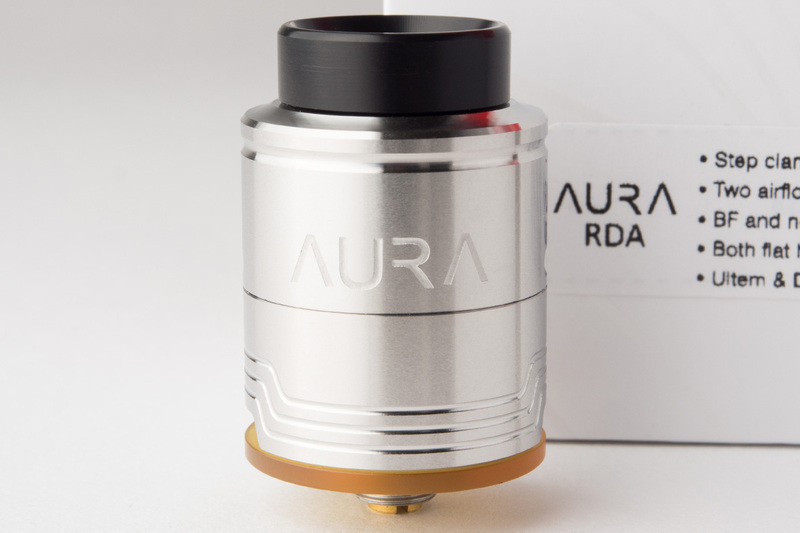 The Aura is a flavor RDA designed by DJLsb Vapes, which will deliver you the best　vaping experience not only due to its build deck system and deep reservoir but also due to the attention to details and extras included. 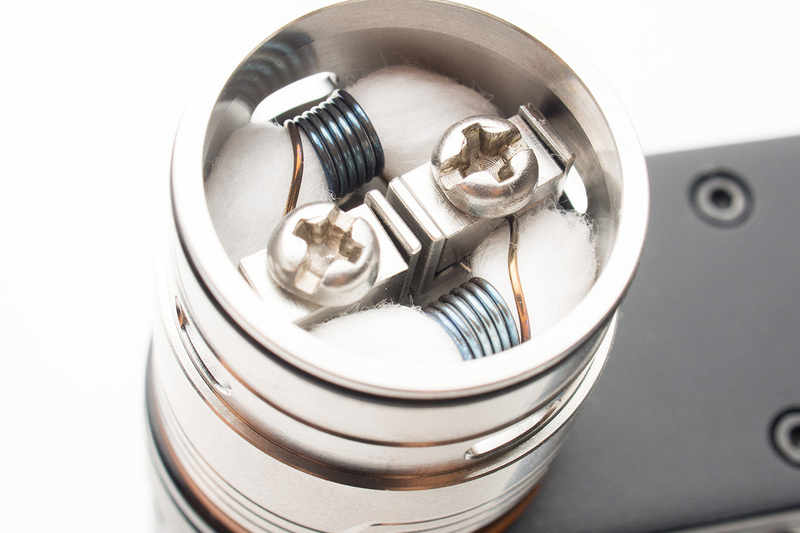 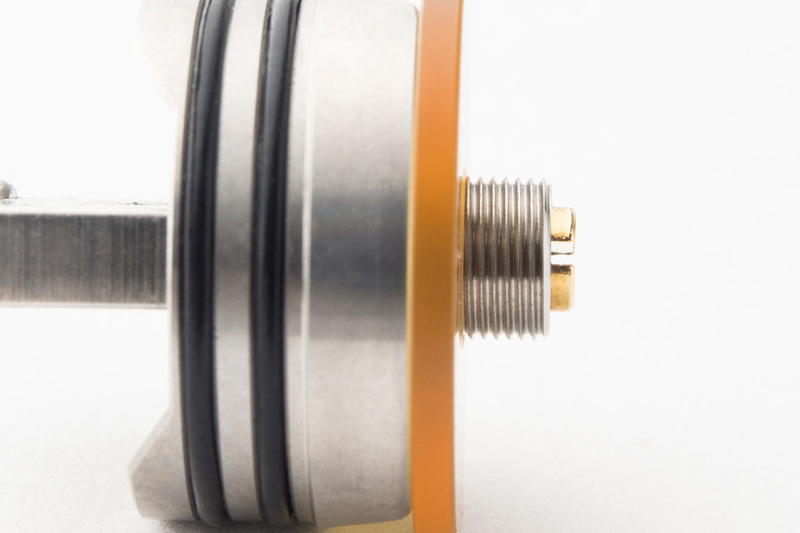 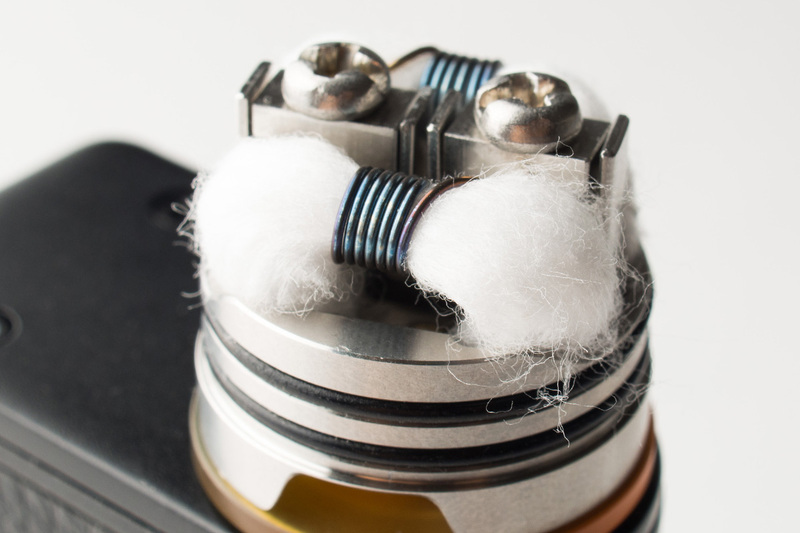 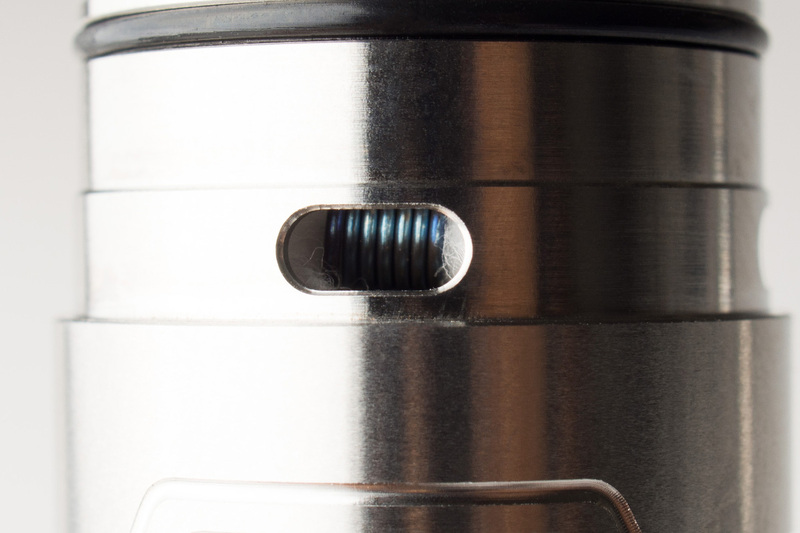 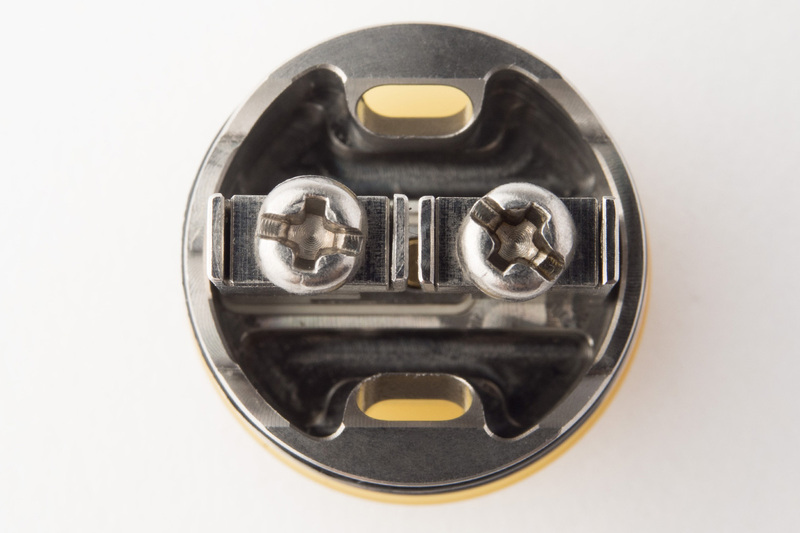 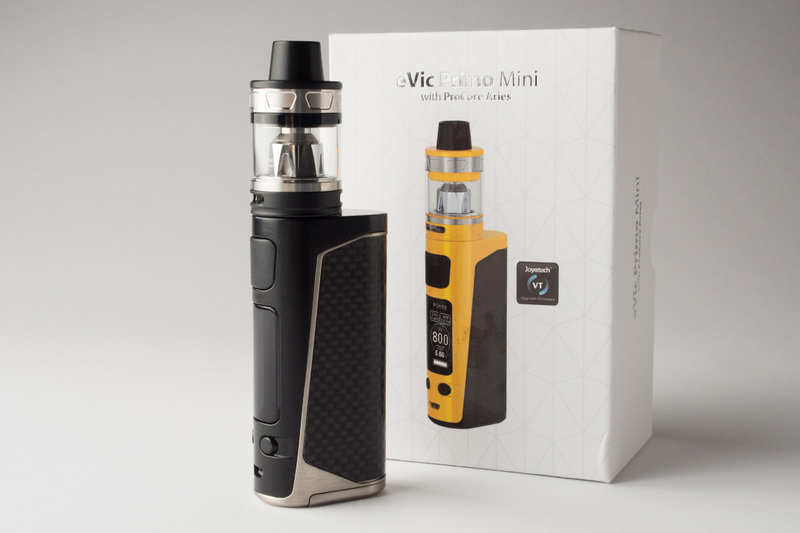 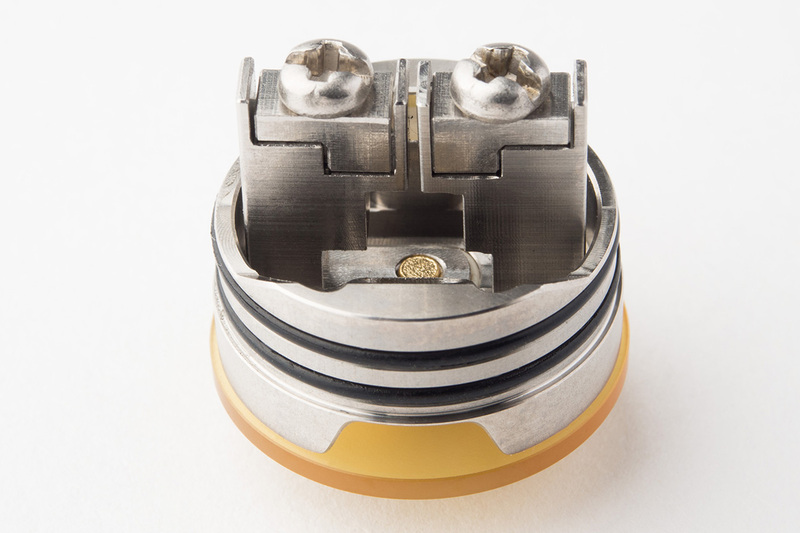 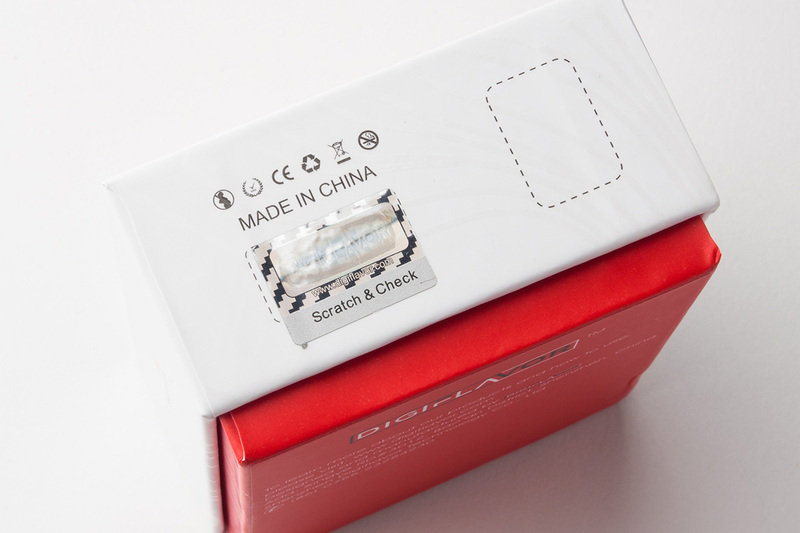 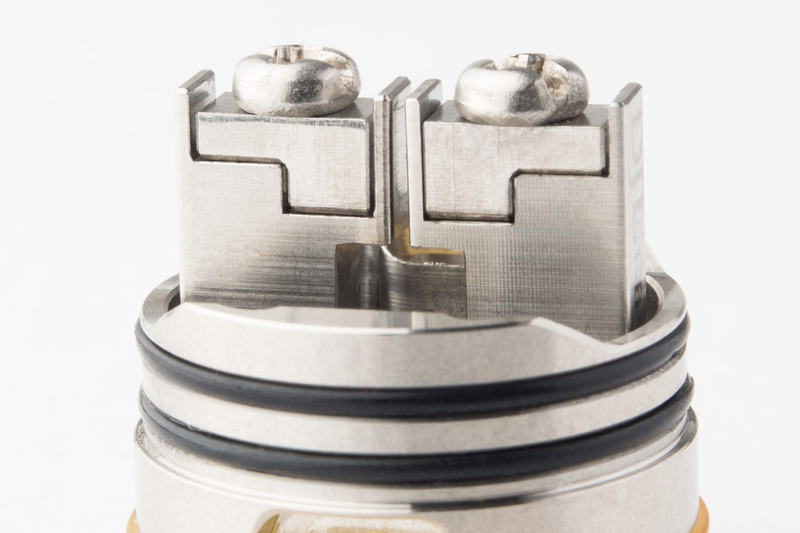 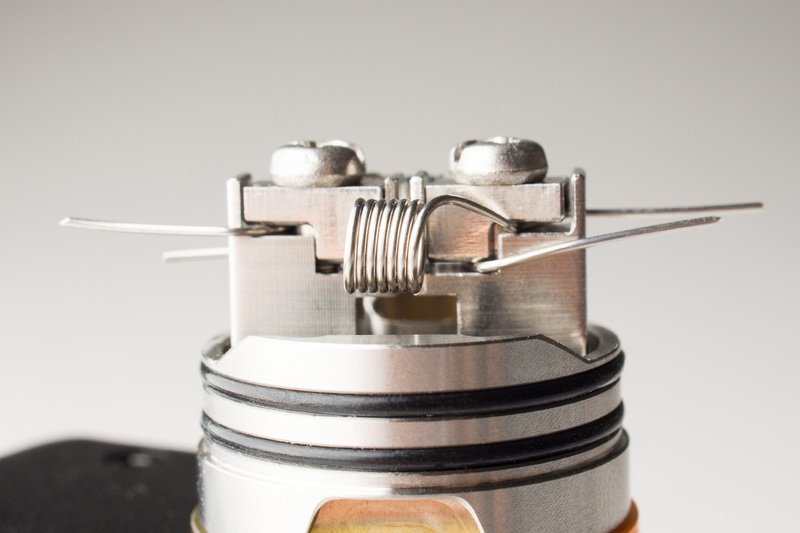 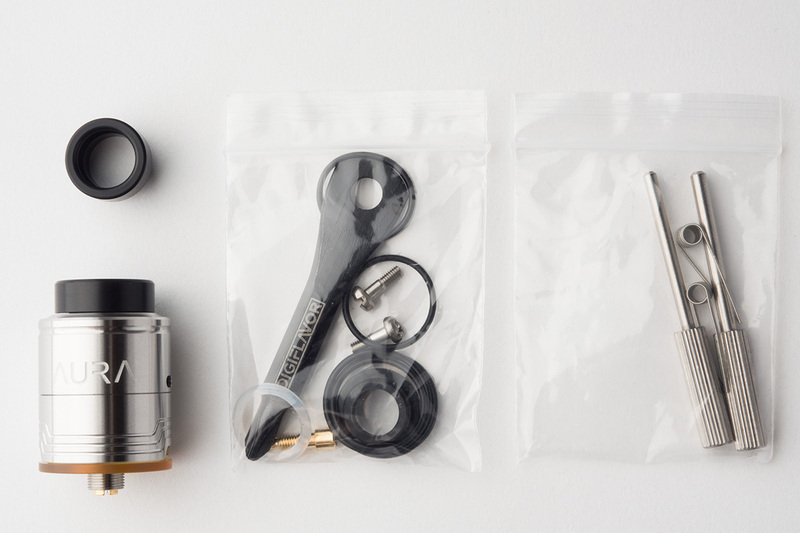 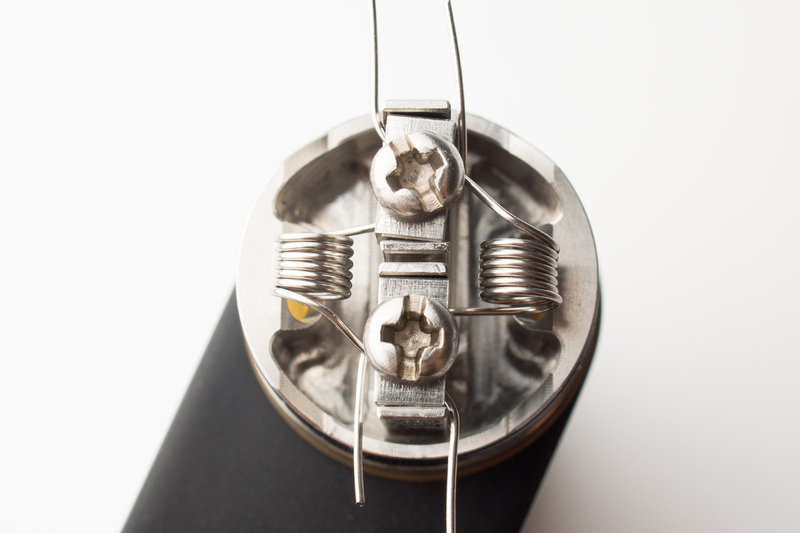 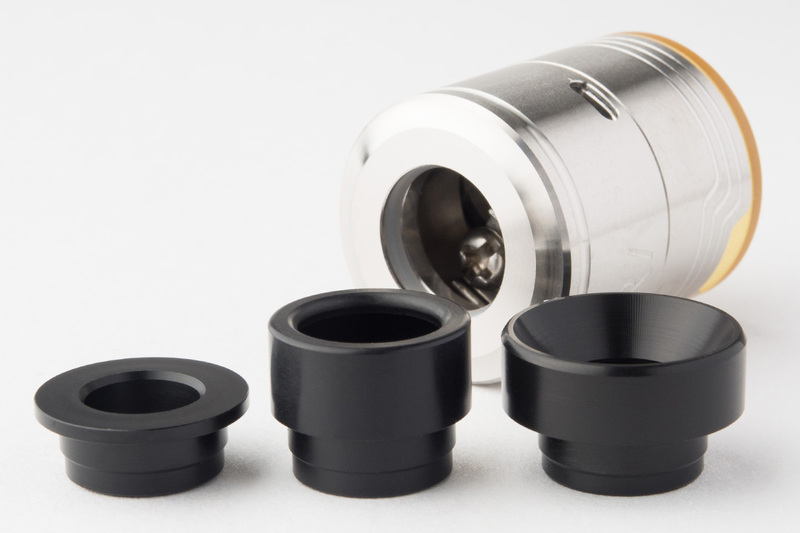 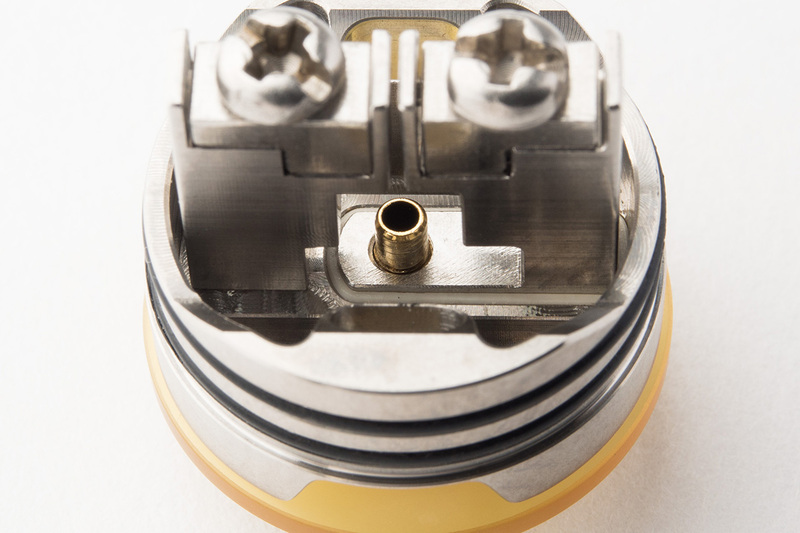 Its Step clamp build deck allows to insert coils faster and easier, secured by two big “user friendly” screws, while the two airflow channels deliver the best flavor and prevent leakage due to the height and position of it. 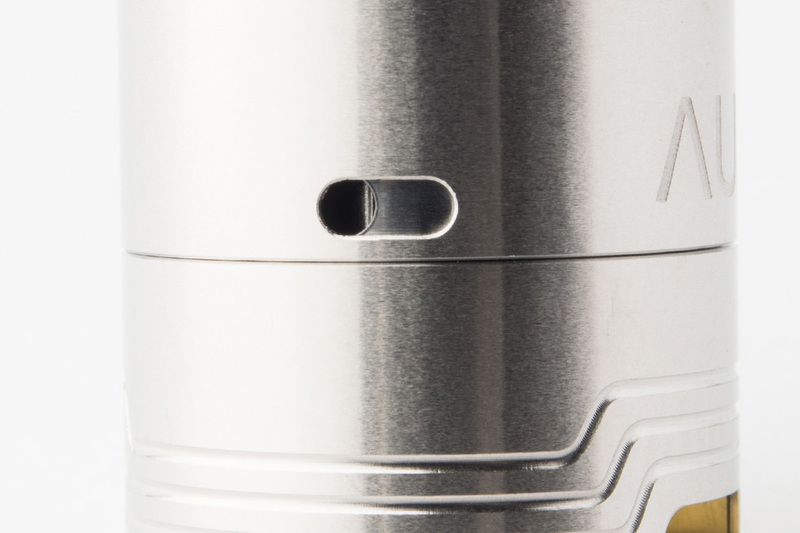 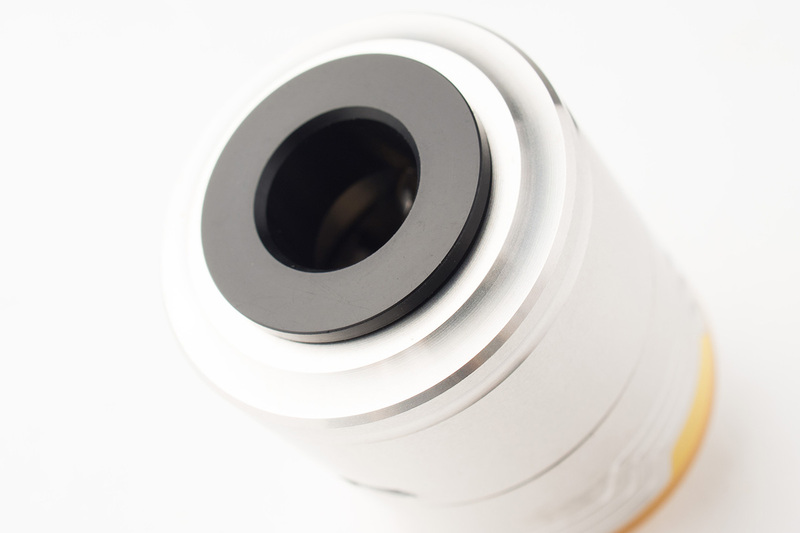 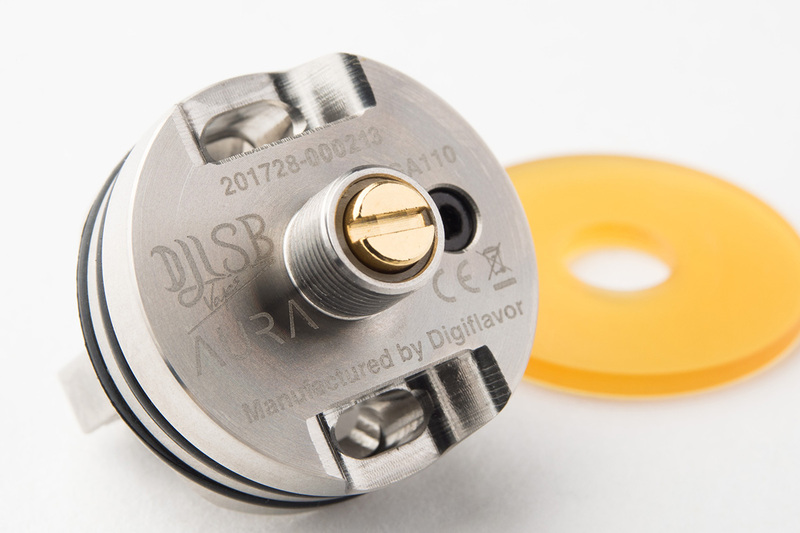 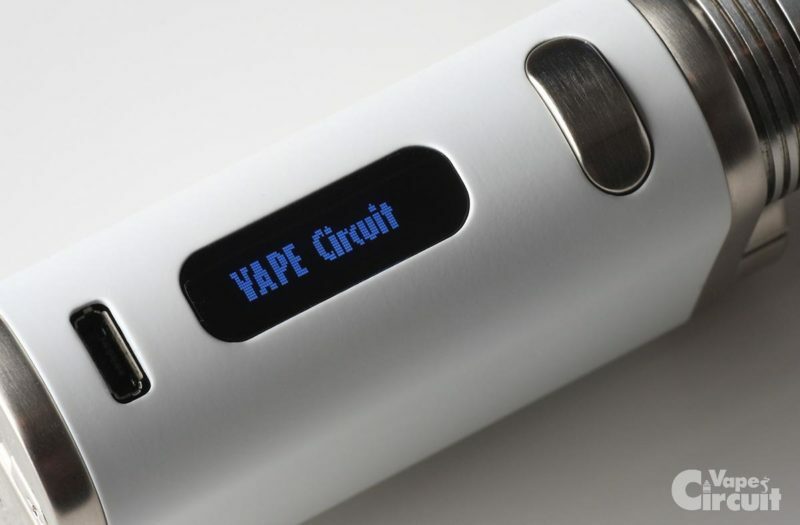 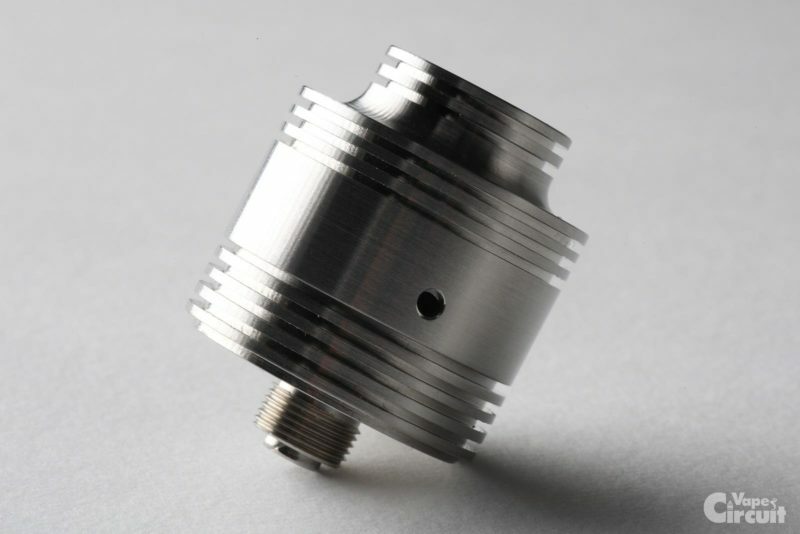 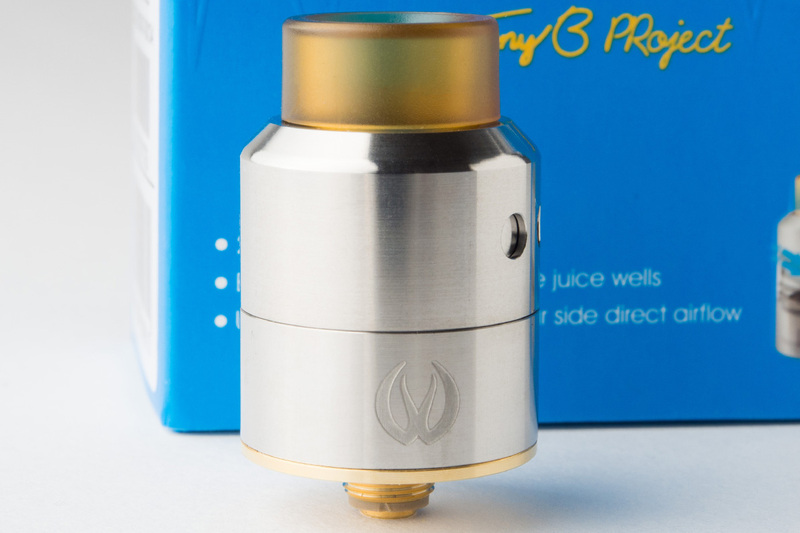 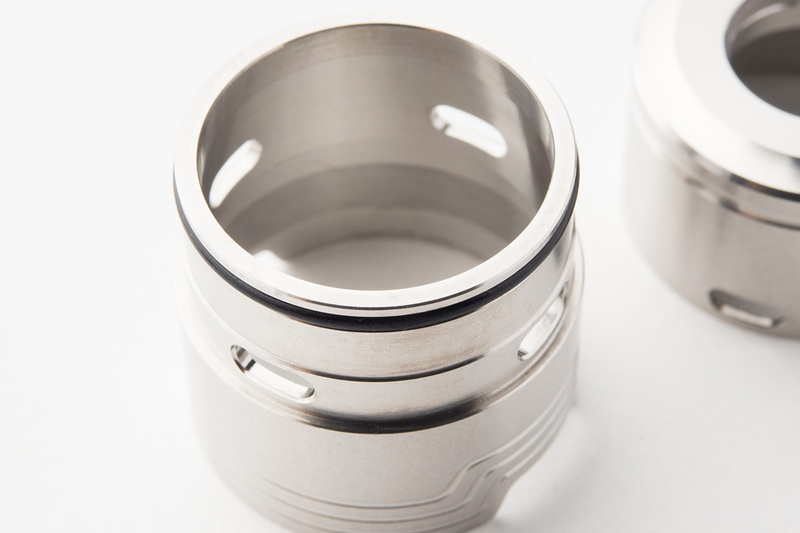 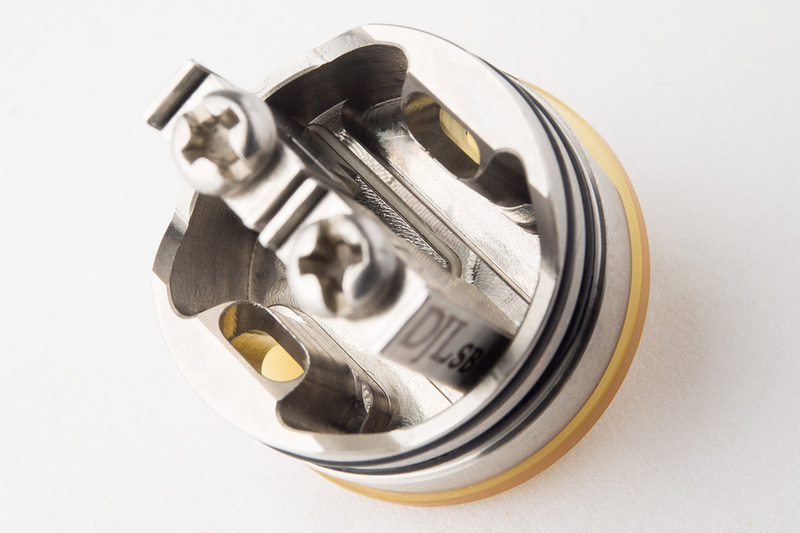 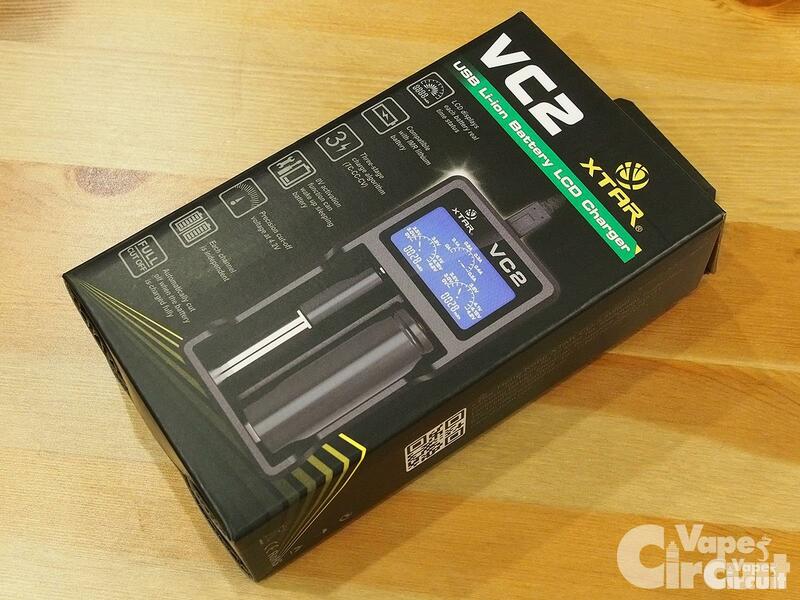 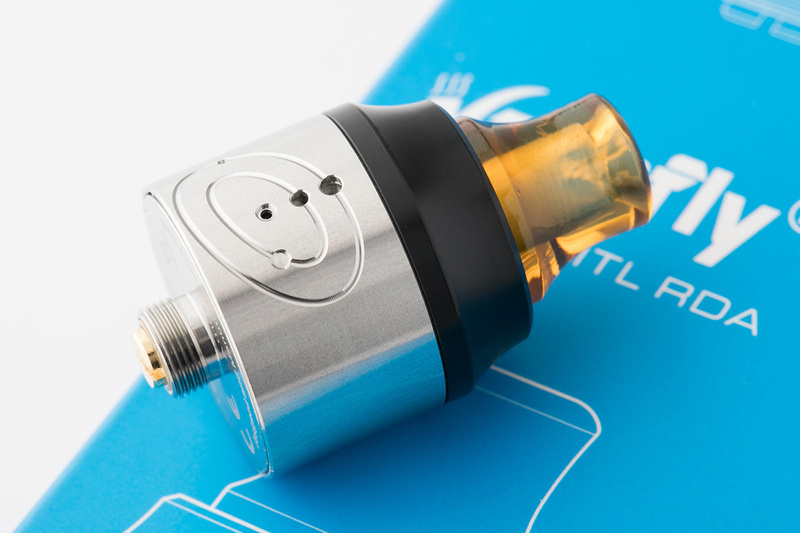 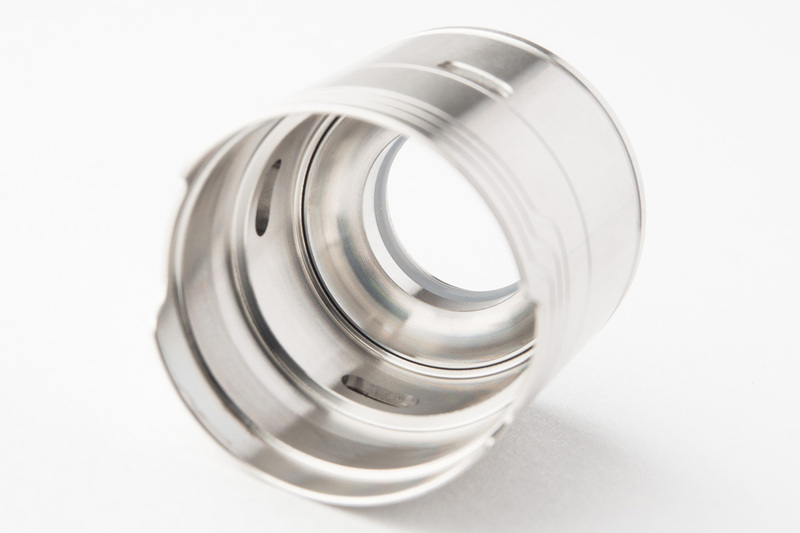 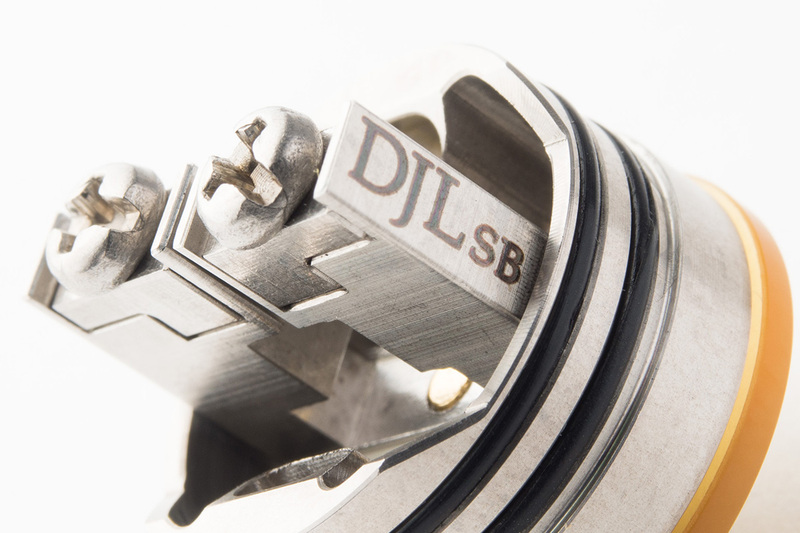 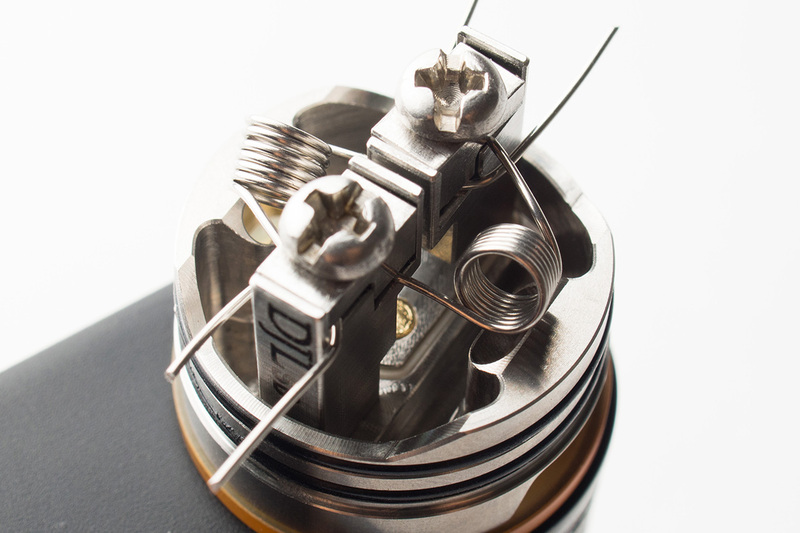 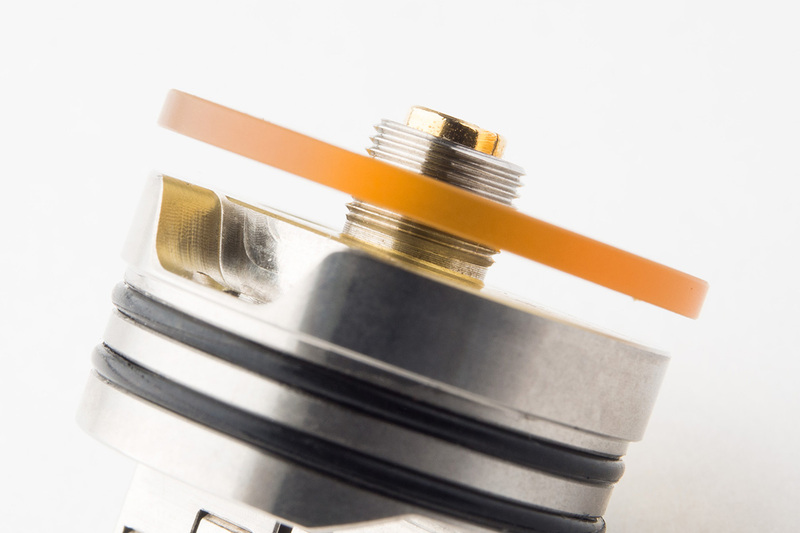 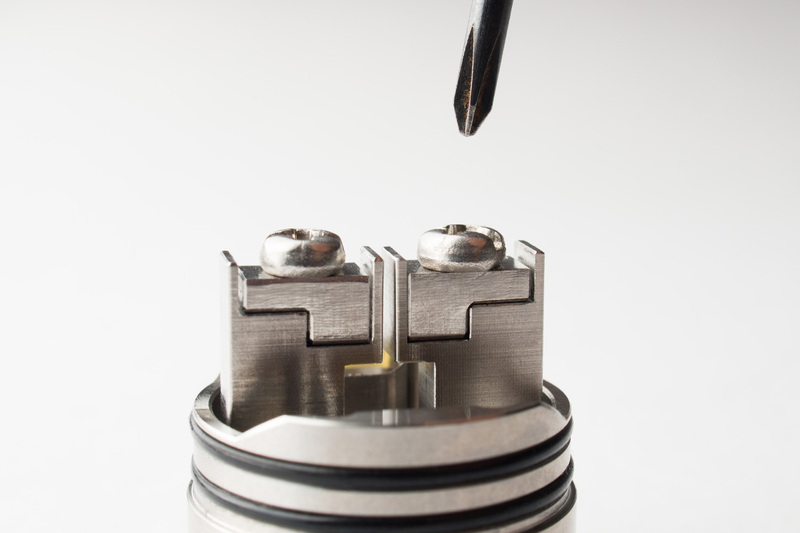 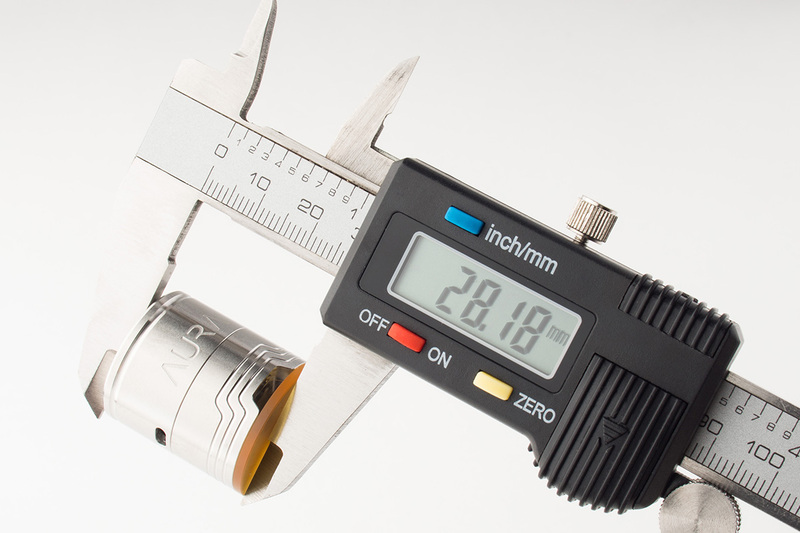 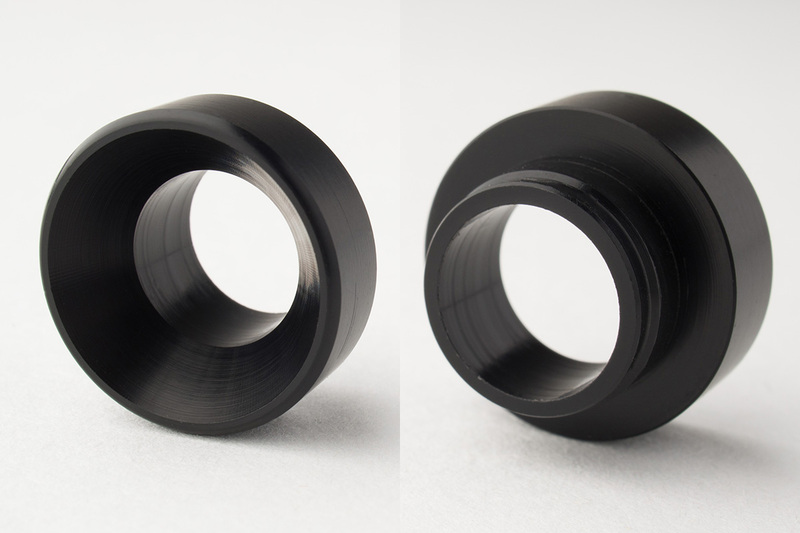 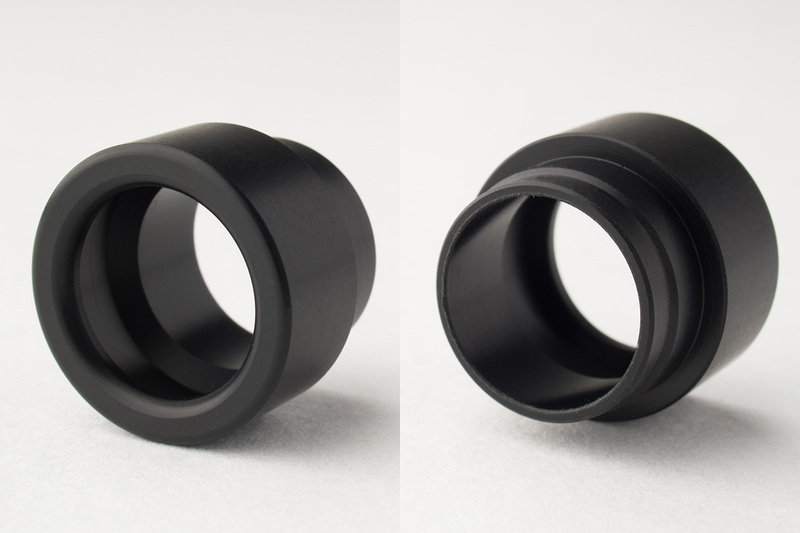 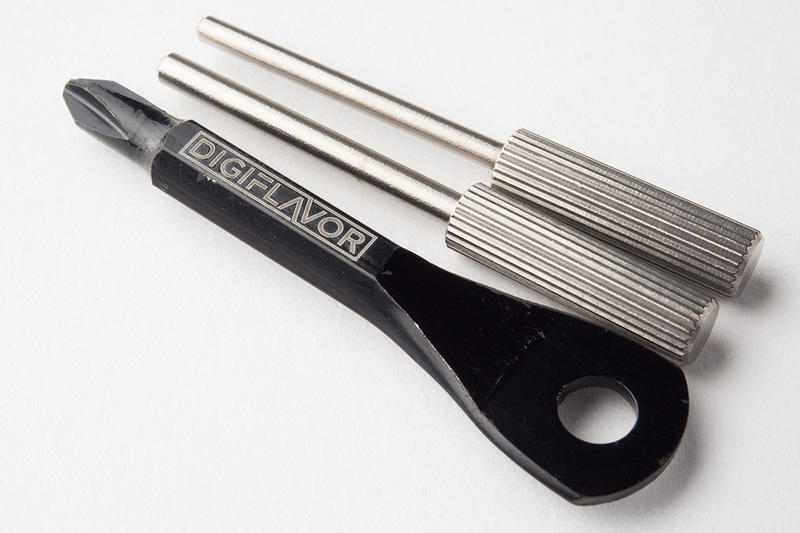 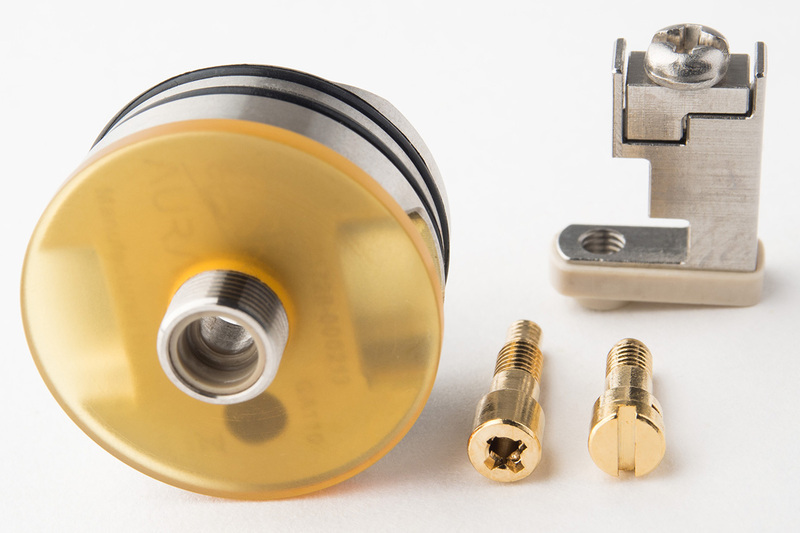 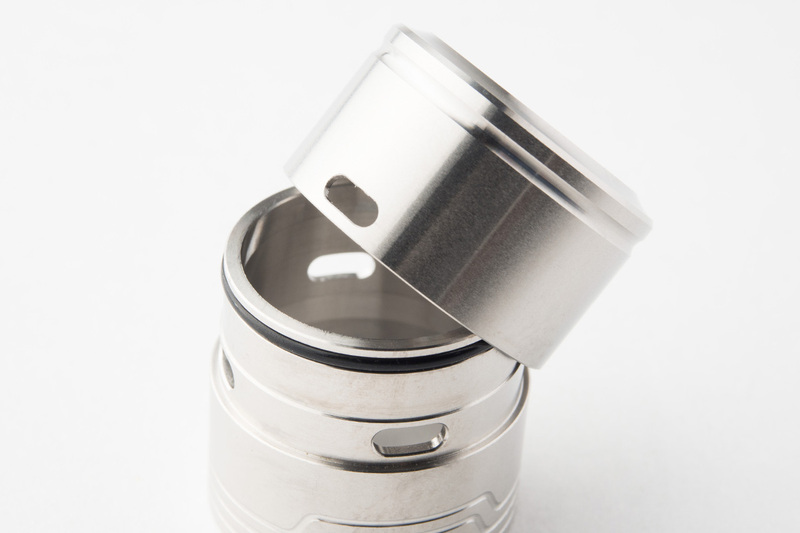 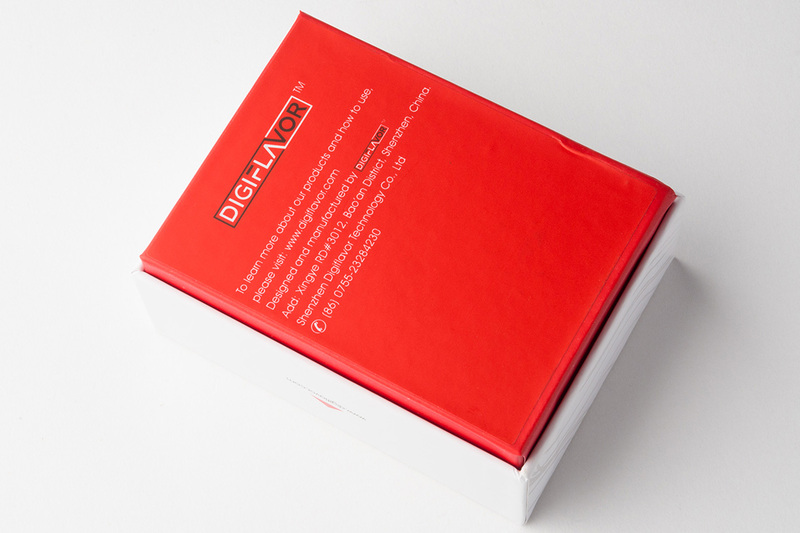 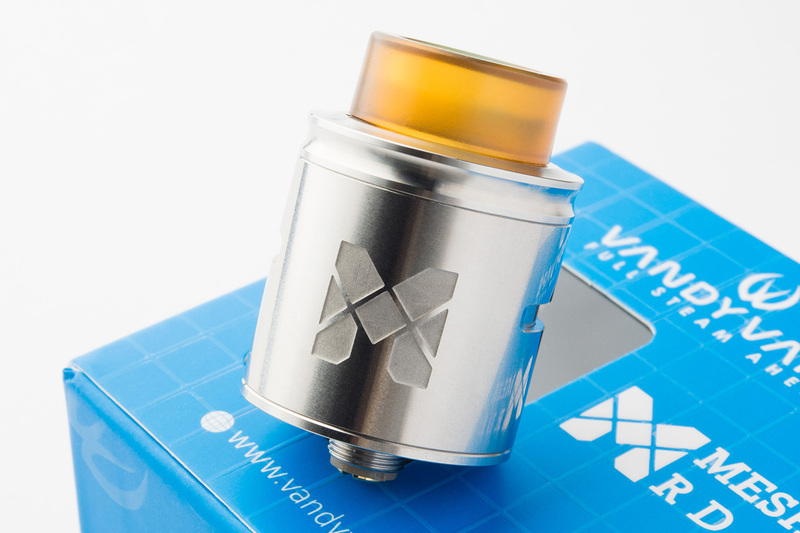 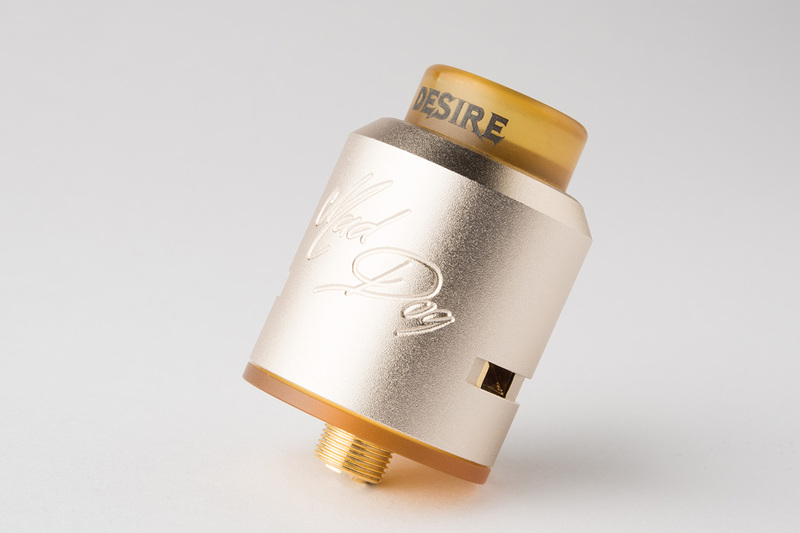 Two 3.0mm (2×28/36 SS316L) personallyselected by DJLsb Vapes included.